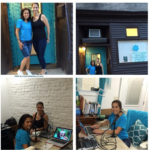 Special thanks to Lite 98.7 and Naomi Lynn for highlighting our 2nd Annual T.E.A.L.® Walk for Ovarian Cancer in an article with photos online. View the article (here) and pictures (here) online. 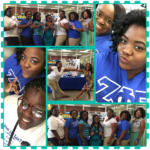 Thank you for your support of this important women’s health issue! 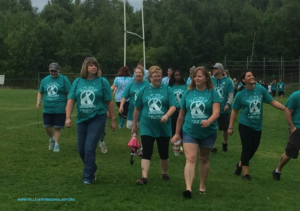 Special thanks to Channel 2 WKTV and Gary Liberatore for highlighting our 2nd Annual T.E.A.L.® Walk for Ovarian Cancer on television and online in an article with photos online. Read the article and watch the news clip here. 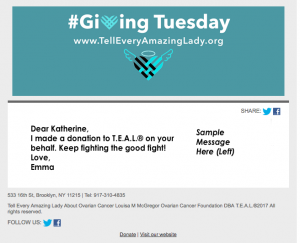 Thank you for your support of this important women’s health issue!